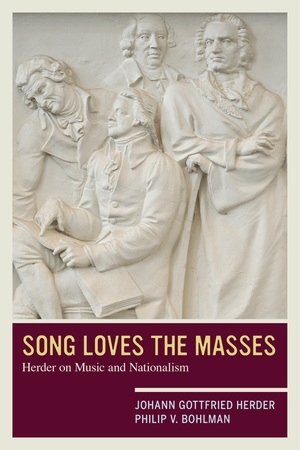 Distinguished ethnomusicologist Philip V. Bohlman compiles Johann Gottfried Herder’s writings on music and nationalism, from his early volumes of Volkslieder through sacred song to the essays on aesthetics late in his life, shaping them as the book on music that Herder would have written had he gathered the many strands of his musical thought into a single publication. Framed by analytical chapters and extensive introductions to each translation, this book interprets Herder’s musings on music to think through several major questions: What meaning did religion and religious thought have for Herder? Why do the nation and nationalism acquire musical dimensions at the confluence of aesthetics and religious thought? 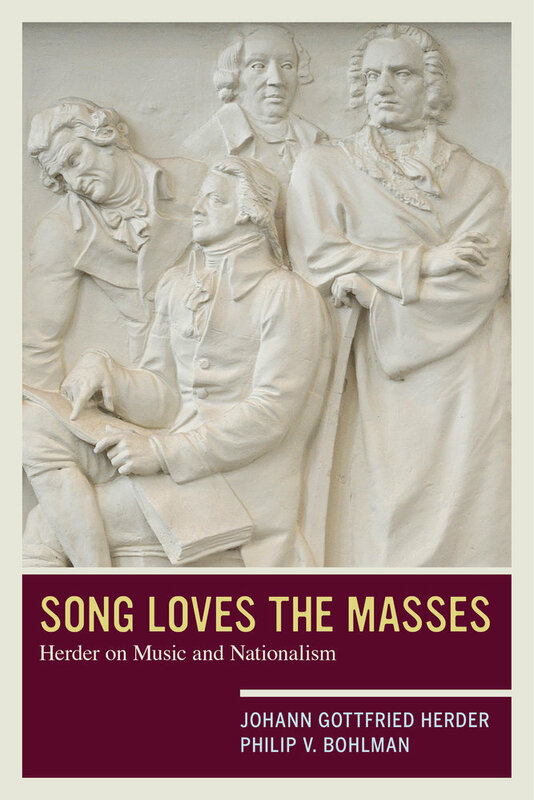 How did his aesthetic and musical thought come to transform the way Herder understood music and nationalism and their presence in global history? Bohlman uses the mode of translation to explore Herder’s own interpretive practice as a translator of languages and cultures, providing today’s readers with an elegantly narrated and exceptionally curated collection of essays on music by two major intellectuals. Johann Gottfried Herder (1744–1803) was a theologian, philosopher, ethnographer, and historian of the late Enlightenment, whose writings on music have been widely influential during the two centuries since his death. Philip V. Bohlman is Ludwig Rosenberger Distinguished Service Professor of Music and the Humanities at the University of Chicago, where he is also Artistic Director of the ensemble-in-residence, The New Budapest Orpheum Society.